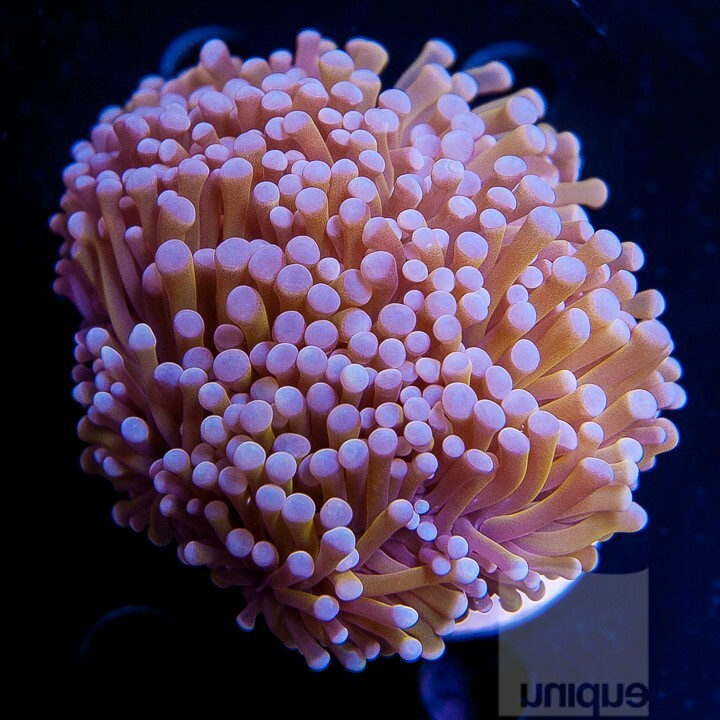 One of the most desired corals of the Euphyllia family. The Gold Torch Coral is easy to keep and offers a good contrast in a mixed coral reef aquarium. When properly cared for, each head can fill out to well over 2” in diameter. This is a very good coral for mixed reef systems. Lighting: Bright to moderate light of the proper spectrum which is easily provided by Orphek Reef LED Lighting. Water flow: Moderate, preferably indirect or wave maker style water movement. Ease of care: Moderate to difficult. Feeding: Produces much of its own food through photosynthesis. Occasional feedings of prepared liquid food (microplankton) suitable for LPS corals. Compatibility with other corals: Aggressive, give this coral plenty of room to grow as sweeper tentacles can extend several inches during the night and sting other nearby corals.